Garage door openers have become an indispensable part of our daily lives due to the massive amount of conveniences offered by them. A garage door can be operated either by a garage door remote or by an outdoor keypad where you punch in your code to open or close the garage door. 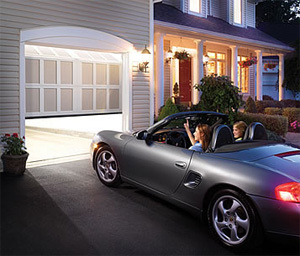 As such, motorized garage door openers make life easier for those days when you arrive home after a tiring day because you don’t have to get out of your car to open the garage door. Apart from convenience, garage door openers also offer a certain amount of security and safety because they keep your garage door shut unless opened by the garage door remote or by punching in your code on the keypad. This ensures that all the stuff you have kept in the garage remains safe from intruders and thieves. Now when the power goes out, your garage door opener will still work. The LiftMaster® 3850 is the only 3/4 HPS®* professionally installed opener with a fully-integrated standby power system. It will operate the garage door opener for 40 cycles within a 24-hour period, and recharges automatically when the power comes back on; an audible signal tells you when the power is out and the EverCharge® Standby Power System is in use. The safety and security features will continue to operate as well, ensuring your family is protected in a power failure. The opener also features smooth start and smooth stop to reduce the noise of the garage door as it opens and closes – perfect for homes with a room above the garage. Upgrade your access with our premium remote control. It's the only remote that automatically lights up as you bring your hand nearby, making finding the right button easy, even in the dark. Today's garages go far beyond a place to merely park your car. 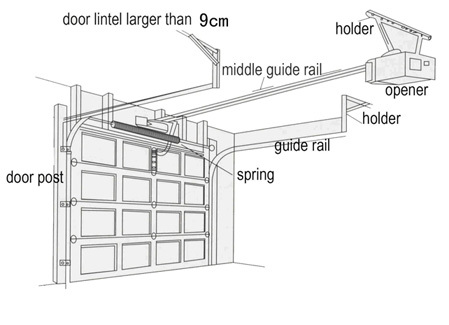 So no matter if you want the extra storage space up above, have an oversized garage door, or even a cathedral ceiling, the LiftMaster® model 3800 Residential Jackshaft Opener is the perfectly engineered solution to fit your specific garage door opener requirements. It mounts easily on the wall beside the garage door, and comes with a remote 200-watt light that can be positioned anywhere in the garage. The optional EverCharge® Standby Power System – that continues to operate your opener even when the power goes out – makes it even more convenient.